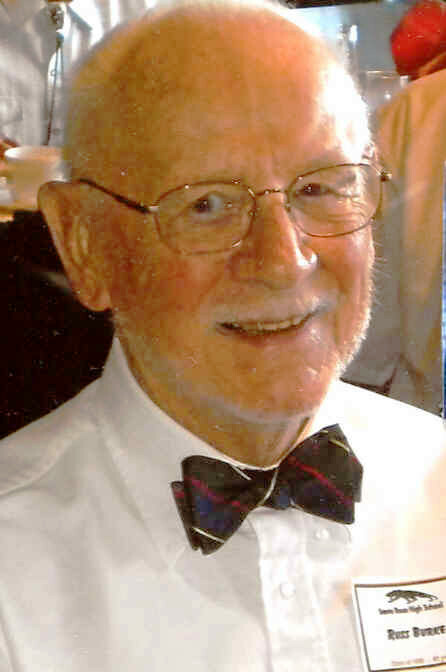 On January 28, 2015, in Sacramento, Ca, RUSSELL EDWARD BURKE, age 86, born May 6, 1928, in Boston, Mass. Survived by wife of 63 years, Allyn C. Titus, four daughters, Julia, Kathleen, Nancy and Maureen, 9 grandchildren, and 16 great-grandchildren. His beautifully diverse family was a great source of pride. He had a very full and interesting life. He was a Coast Guard veteran, high school teacher, school counselor, including four years on Yap Island, Micronesia, mental health professional, book lover, music lover, Red Sox fan, world traveler, marathon runner and Clamper.